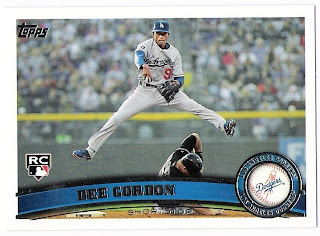 considering that this is the first (and probably last) february 29th post on this blog, i thought it would be appropriate to show this card - dee gordon's awesomely fantastic 2011 topps update card. 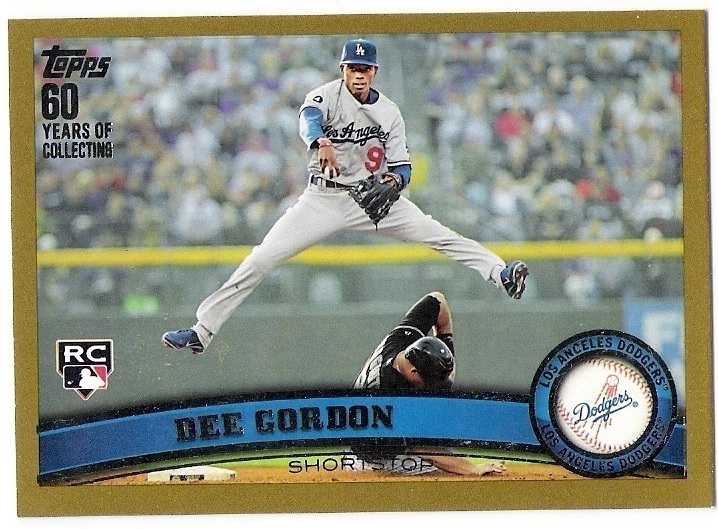 leapin' lizards, that's a nice card. and don't worry - i haven't forgotten about the 'greatest double play card of all-time' tournament. it will be happening starting in march. it may not be a 64 card tournament, but look for it soon. not because it's his rookie card necessarily, but because it's number 525 in the set. that's high number territory. but, i eventually picked it up for a price i was comfortable with. because it's only number 403 in the set. that's not rarified air. number 484 in the set. i think it only set me back a few bucks. 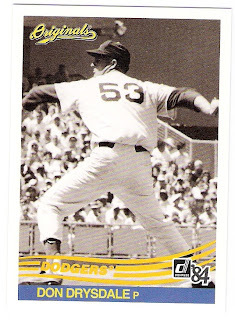 but then there is his 1966 card. it's number 555 in the set. that's bad news. the vintage bargain bin guy told me at a show last year that he had only owned a few in his career, and that he had a couple of standing requests from some customers for one. even now, there's only one on ebay with a bin of $123.74. i got lucky and picked mine up for a steal on the bay a few months ago, spending less than $20 on it if i recall correctly. it's not mint, but it was by far the cheapest i had seen one go for in the months that i spent watching auctions. now, of course, there have been some recent copies that have sold for as little as $6.74. maybe the vintage bargain bin guy has been doing some shopping. 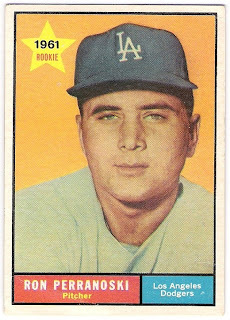 oh well, perranoski is put to bed, and i need just a few more cards to complete many of my 1960's dodger team sets, with 1968 and 1969 already finished. i'm coming for you, 1966 willie davis high number! you dodger fans out there are probably familiar with the 1979 dodger blue card set. 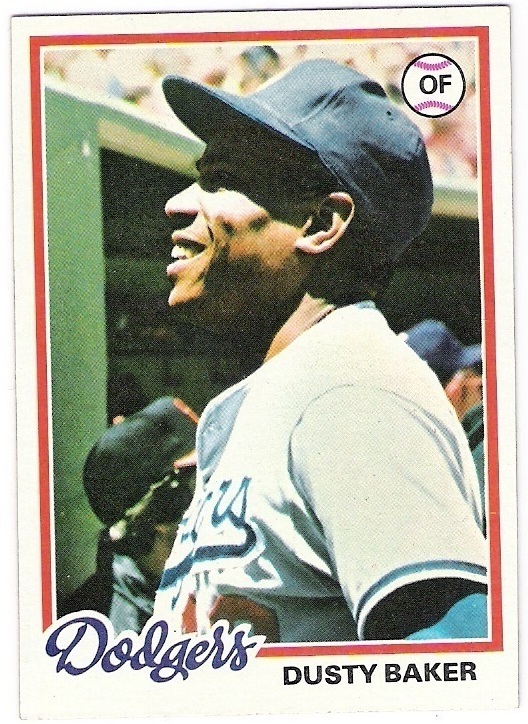 it is named as such because it was distributed in 1979, and the back says 'go dodger blue!' along with some other information. 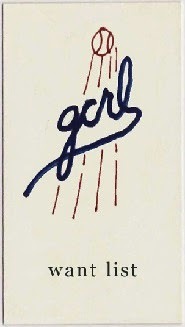 i am wishing right about now that i had scanned one of the backs, but oh well (thanks comc!). 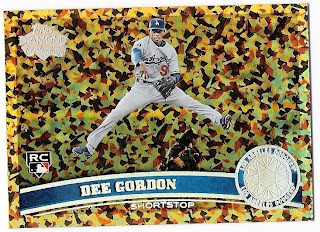 the other thing that strikes me about the set is that many (about half) of the cards feature a blue background. i think this might just be a photographer's background, as it seems to be a different shade of blue than the outfield walls at dodger stadium. but then again, maybe the photos were taken in vero beach where there may or may be such a blue wall in existence. there is one more thing that i noticed right away when i first picked up the set ten years ago or so. here's dusty baker's card. see if you notice what i noticed. 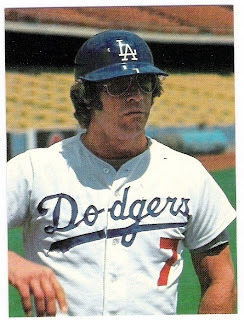 yup, dusty is sporting the 1976 national league centennial patch (thanks for the link jerry reuss) which was worn in, of course, 1976. so, the set features photos that are three years old. here's the penguin. you can barely make out the red border of the patch on his left sleeve, as well as the back of the chair he is sitting in under his right armpit. but i can only guess that it's there on charlie hough's jersey. and this is where i became fairly convinced that the background was just a photographer's screen. now, rick monday was not with the dodgers in 1976, yet he has the blue screen. 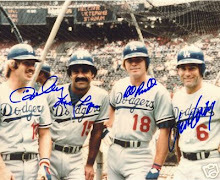 maybe the photographer brought it back to spring training in 1977? so maybe his photo is from the same time as monday's. incidentally, why did reggie wear 'r. smith' on the back? 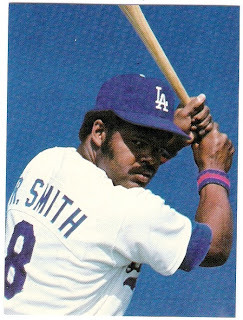 i don't think the dodgers had another smith at the time. ponderous. 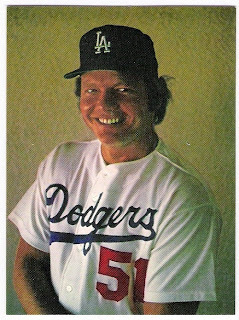 the lighting in the dugout or wherever this photo was taken, combined with forster's grin, give the card a kind of creepy feel. here's what i think is probably the worse card in the set, and it pains me to say that. it's steve garvey's card. i will go out on a limb here and say that this photo was taken on march 17, 1976. he's got the green hat and the patch to prove it. the dodgers used this photo of lasorda in several publications if memory serves. nice of him to wear his wedding ring, by the way. 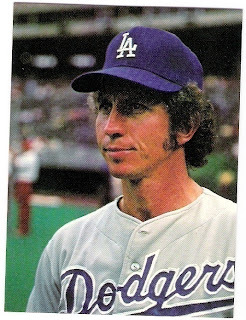 don sutton's card is an oddity. it looks like he's just warming up as the penguin is lurking in the background checking out his manicure. don't get me wrong, i really like this set as it includes the core group of the dodger teams of my youth. it's just fairly inconsistent. 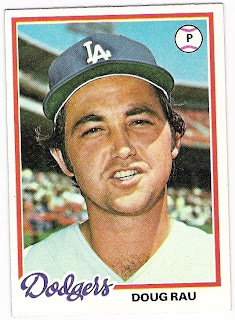 bob aspromonte had a single at bat as a brooklyn dodger. it came in 1956, and the 18-year old brooklyn native pinch-hit for sandy amoros in the bottom of the 8th inning of a laugher against saint louis. 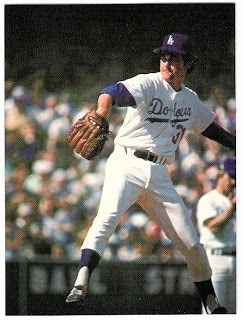 facing the cards' don liddle, aspromonte struck out and was replaced in the field by gino cimoli and the dodgers won the game 17-2. fast forward four years, and the dodgers are in los angeles and bob aspromonte makes his next big league appearance. 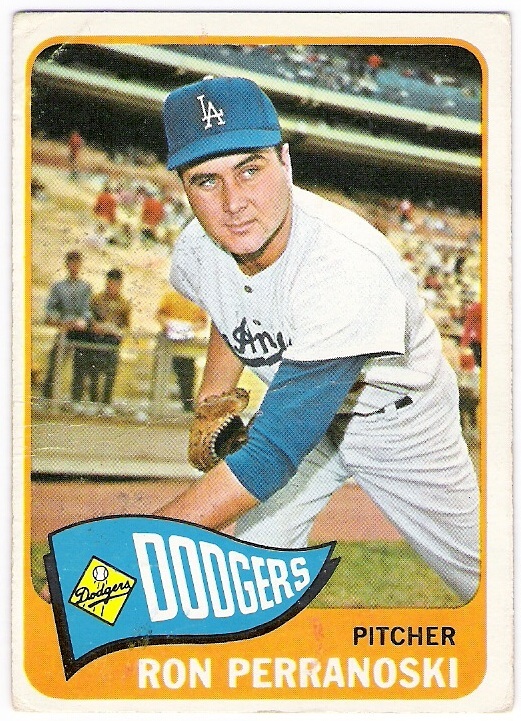 aspromonte played in 47 games for the dodgers in 1961 and hit .241 on the year. 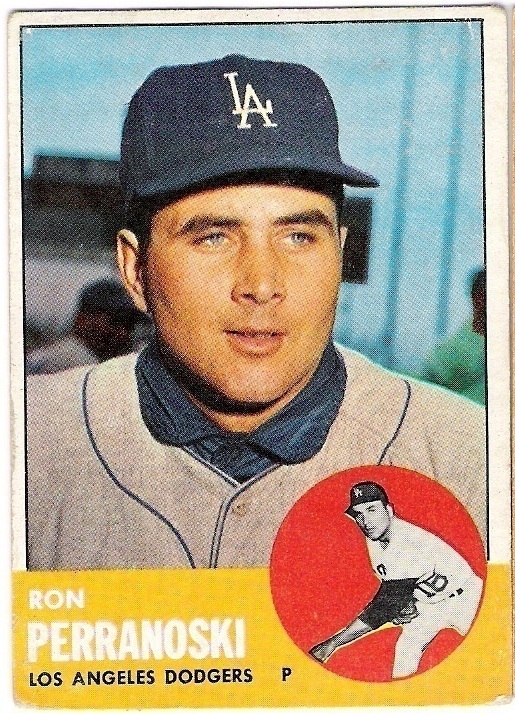 after the season, the houston colt .45's made him the 3rd pick in the 1961 expansion draft. 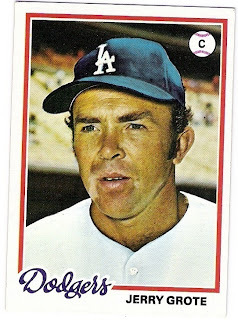 aspromonte went on to man the hot corner for the colts/astros for the next 7 seasons before spending two years in atlanta and a final campaign back in new york with the 1971 mets, which were managed by his old brooklyn (and los angeles) teammate gil hodges. 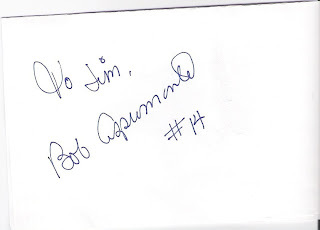 speaking of brooklyn teammates, aspromonte was the last brooklyn dodger player to retire from the big leagues. 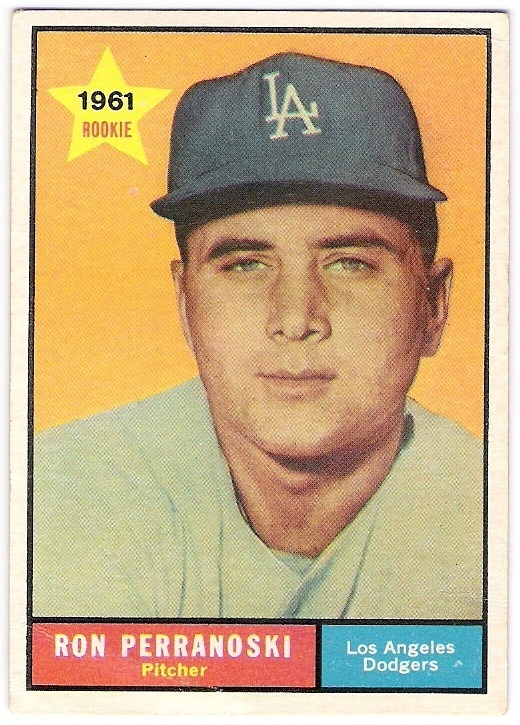 aspromonte hit only one home run as a dodger and it came against the braves' lew burdette on cinco de mayo, 1960. the next home run he hit came as a colt, and he hit it on cinco de mayo, 1962.
although that's the number he wore in houston and atlanta, not his dodger uniform number - that would have been 34. or 44. or 28. i wonder if it was in any way a tribute to hodges? i shoulda asked. i would like to believe that the photo comes from dodger stadium, and i think it might given i think he is in his home whites and the low railing in what may be the left field corner, but i am not familiar enough with some of the older stadiums that drysdale pitched in to know for sure. either way, it's a cool card. baker is in the midst of giants, or more likely just a giants' ballboy, in this photo. i like to think he's smiling at some family or friends in the stands since he hails from that part of the country. 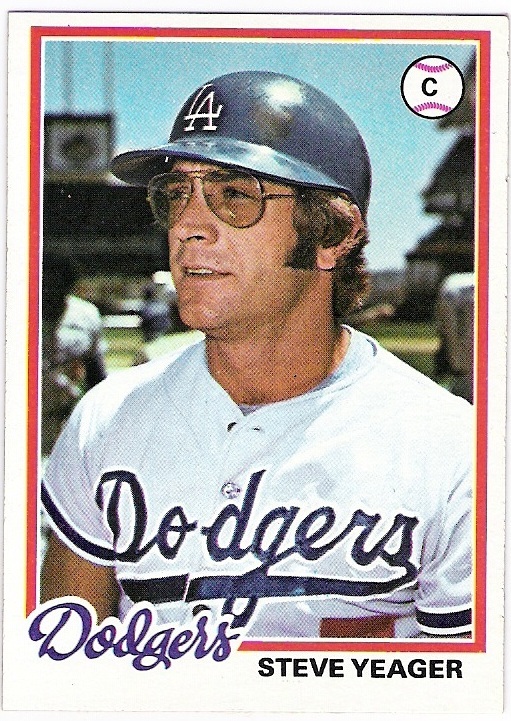 as far as 1978 went, dusty had a down year. 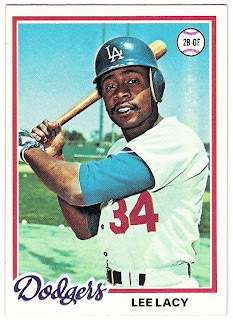 although he played in 149 games, his home run total plummeted to 11 and his rbi output fell to 66. his average also took a tumble, falling almost 30 points to .262. still, the 1977 nlcs mvp played well against the phillies in the postseason once again, this time hitting .467 with 7 hits and 4 runs scored in the four game series. in the fall classic against the yankees, dusty hit only .238, but did have a solo home run to his credit. 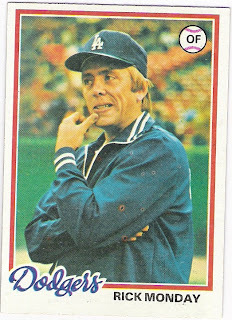 the penguin raised his average by almost 30 points, to .270 in 1978. he hit fewer homers than he had in 1977 (23) and drove in fewer runs (84), but he scored more times (84 vs. 77) and struck out 10 fewer times while appearing in 6 more games over the course of the 1978 season. he made the all-star team for the fifth straight year (grounding out in his only plate appearance, although he moved the runner over!) and had a home run in the nlcs and the world series. garvey finished 2nd in the league mvp voting in 1978 thanks to playing every day, getting 202 hits, having a line of 21/113/.316, and a career high ops of .852. he failed to win the gold glove after four straight years receiving that honor (stupid keith hernandez), but was named the mvp of the all-star game (2 for 3 with 2 rbi and the winning rally-starting triple off of goose gossage in the 8th inning) for the second time in his career. to top things off, garvey also won the mvp of the nlcs for the first time, putting up a line of 4/7/.389 in the 4 games against the phillies. in the world series, however, he hit only .208 thanks in part to the play of graig nettles at third base for the yankees. 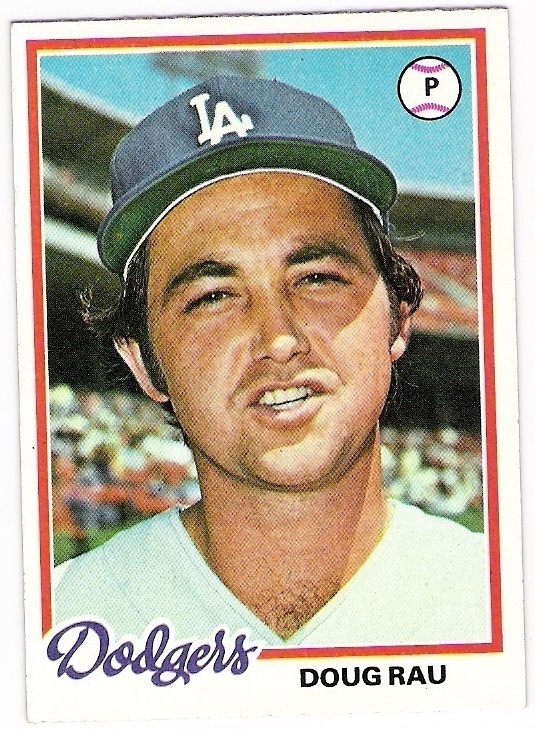 happy hooton won a career high 19 games in 1978, finishing 2nd in the cy young award voting and 15th in the mvp voting. he had 10 complete games and 3 shutouts. 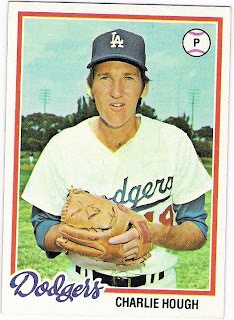 he made one start in the nlcs (game 1) and lasted only 4.2 innings of work, allowing 4 runs and 10 hits to the phillies although the dodgers wound up winning the game. he had two starts in the world series, winning game 2 despite allowing 3 runs in 6 innings, and losing game 5 after allowing 4 runs (3 earned) in 2.1 innings of work against the yankees. 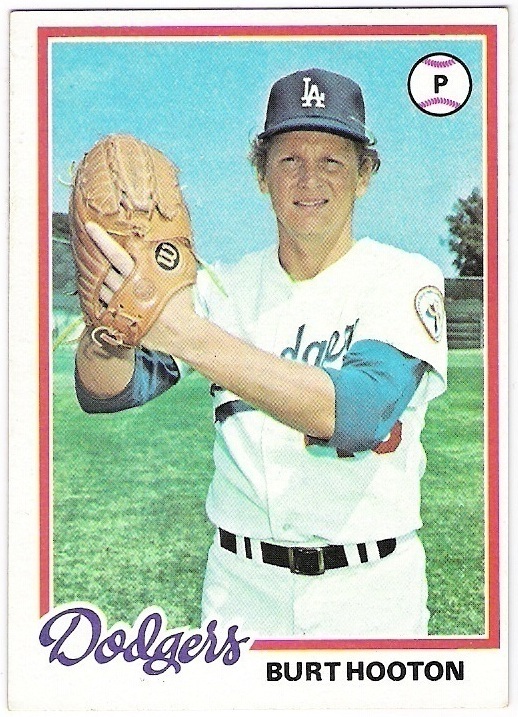 thanks to the arrival of terry forster, hough was no longer the dodgers' closer in 1978. still, he saved 7 games while making 55 appearances, all in relief. he also won 5 and lost 5. in the nlcs, he made one appearance without a decision. 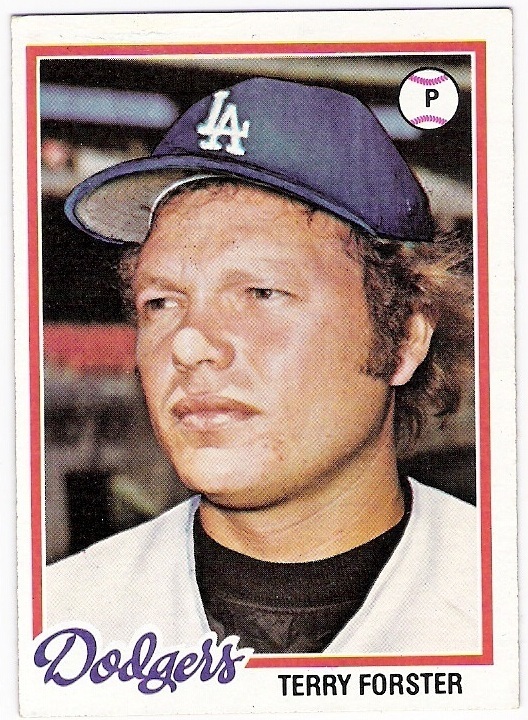 he made two relief appearances in the world series, and despite allowing 5 runs in 5.1 innings of work, he did not give up a towering home run to reggie jackson this time. john won 17 games in his third year back from his eponymous surgery. 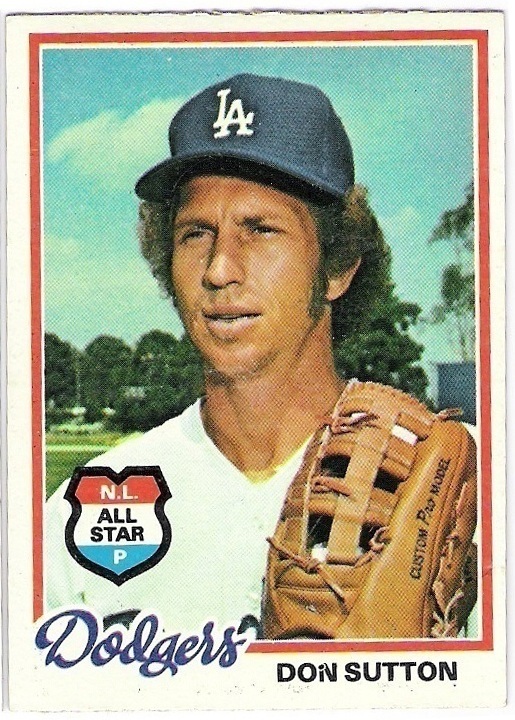 he finished 8th in the cy young voting and was named to the all-star team. 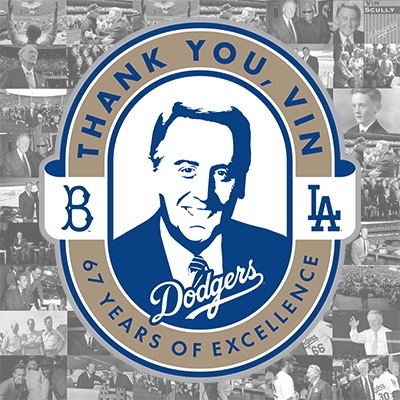 in the postseason, john was the dodgers' best pitcher. 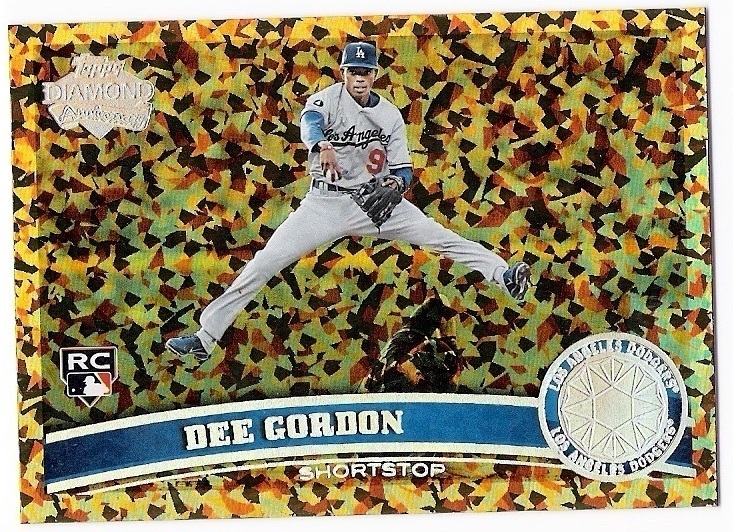 he was 1-0 in the nlcs, throwing a 4-hit shutout against the phillies in game 2 of the nlcs. in the world series, john won game 1, allowing 3 earned runs in 7.2 innings of work. in game 5, john got a no-decision as he allowed 2 earned runs in his 7 innings of a game the dodgers lost 5-4. 1978 was lacy's last in los angeles, and he went out with a bang. he played in 103 games, a career high, and belted 13 homers, also a career high. he proved his utility-ness, playing in right, left, short, third and second over the course of the season. 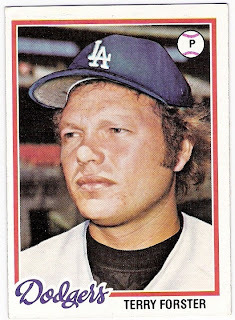 he was 0 for 2 in the nlcs (both appearances came as a pinch-hitter), but started four of the world series games as the designated hitter and was 2 for 14 with an rbi. lacy became a free agent after the season ended and decided to try his luck in pittsburgh. and here we have tommy's first solo card since 1954. it's a classic, too. 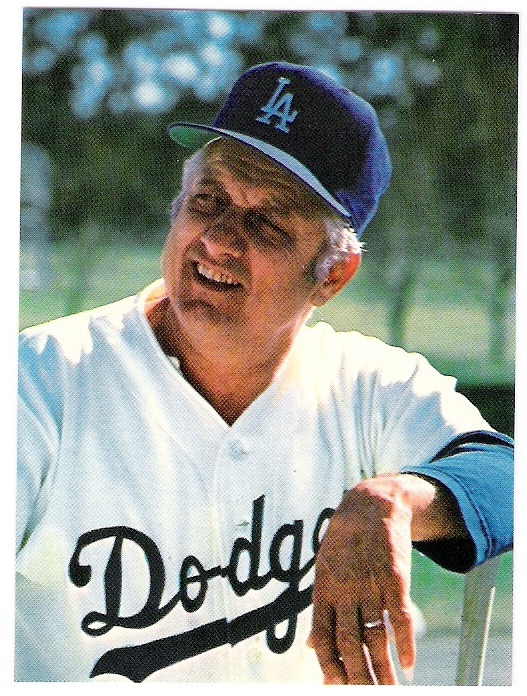 in lasorda's second year at the helm of the team, the dodgers won 95 games en route to their second straight pennant. 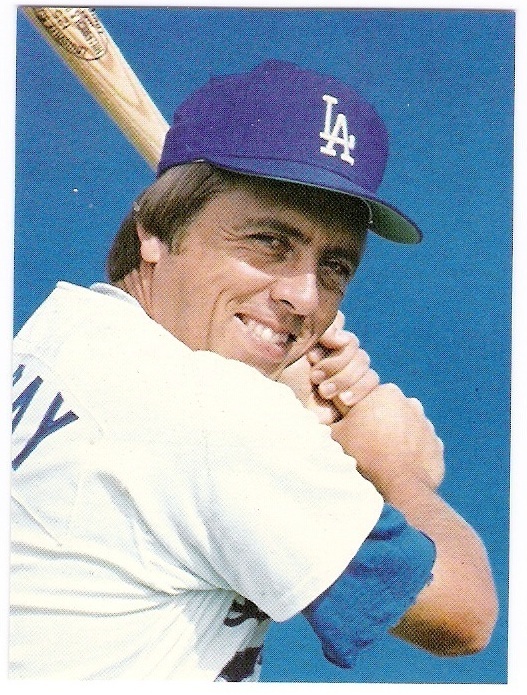 highlights from tommy's year included leading the national league to a victory in the all-star game and going on a tirade about dave kingman's performance in a game in which kong hit three home runs against the dodgers. good stuff. which shows him perhaps hitting the ball to larry bowa in the 'black friday' game. i always wondered why the card was labeled 'nl championships', as if there were more than one series. 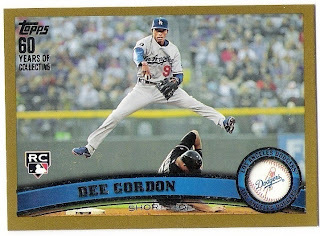 anyway, the captain of the dodgers made the all-star team for the first time (he was 1 for 1 with an rbi) and also won his only career gold glove. 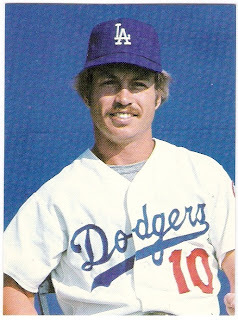 he stole 45 bases while being caught just 4 times, although he did get gunned down trying to steal off of goose gossage and jim sundberg in the all-star game. lopes had hit a then-career high 17 homers during the regular season, and kept up the power surge in the postseason. he hit two homers against the phillies (to go along with a .389 average and 5 rbi) and then hit 3 longballs in the world series against the yankees. he also hit .308 with 7 rbi and 2 steals in the fall classic, although in a losing effort. 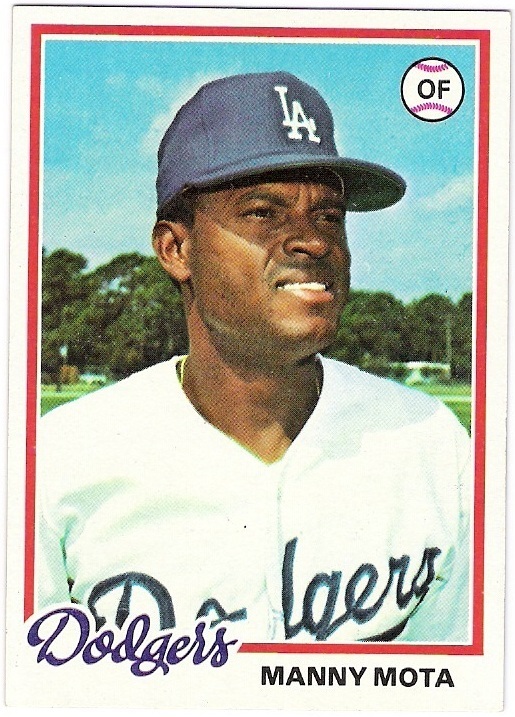 mota appeared in 37 games (all as a pinch-hitter) for the dodgers in 1978, and, of course, had 37 plate appearances. he was 10 for 33 (.303) with 3 walks and a sacrifice in those appearances, and drove in 6 runs as well. for the second year in a row, mota was 1 for 1 with a double against the phillies in the nlcs, although this time he added a sacrifice for good measure. mota then worked a walk in his lone (and final)world series appearance. rau had another solid season for the dodgers, going 15-9 with a 3.26 era. he threw 7 complete games and 2 shutouts, including a string of 3 straight complete games in june. rau started game 4 of the nlcs, but didn't figure in the decision despite giving up just 2 runs in 5 innings. 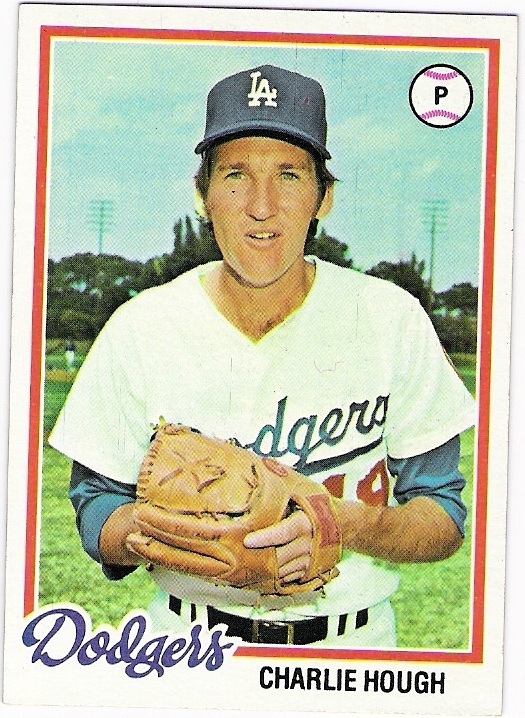 he finished the 1978 season for the dodgers, pitching the last two innings of game 6 of the world series, striking out reggie jackson to end the top of the 9th. rhoden's card is almost symmetrical to rau's. they look nice next to each other. rhoden went 10-8 in 30 games (23 starts) for the dodgers in 1978. he threw 6 complete games and 3 shutouts and did not appear in the world series. 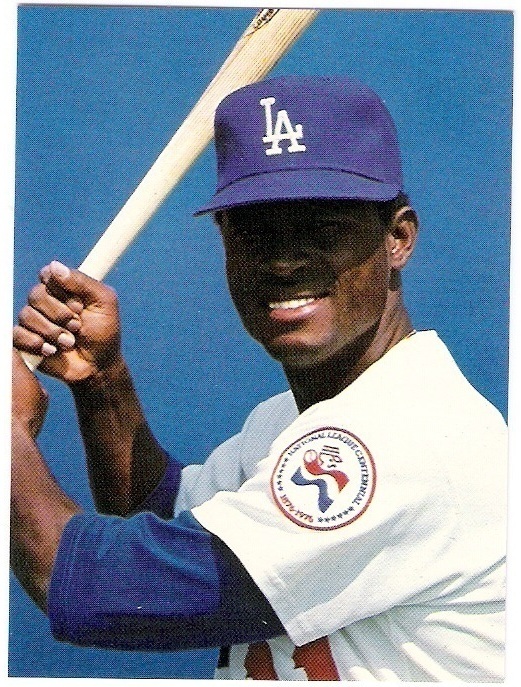 in his lone nlcs appearance, rhoden pitched 4 innings of relief in game 4 allowing only a bake mcbride home run, but was removed from the game before the dodgers rallied to win in the 10th. it was his last appearance as a dodger, as rhoden was traded to the pirates at the start of the 1979 season for jerry reuss. 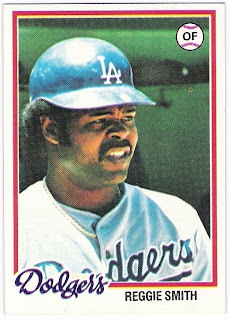 ropes still looks boyish on his card, but then again, he was only 29 in 1978. russell wound up playing in 159 games and hitting a career high .286 on the year. 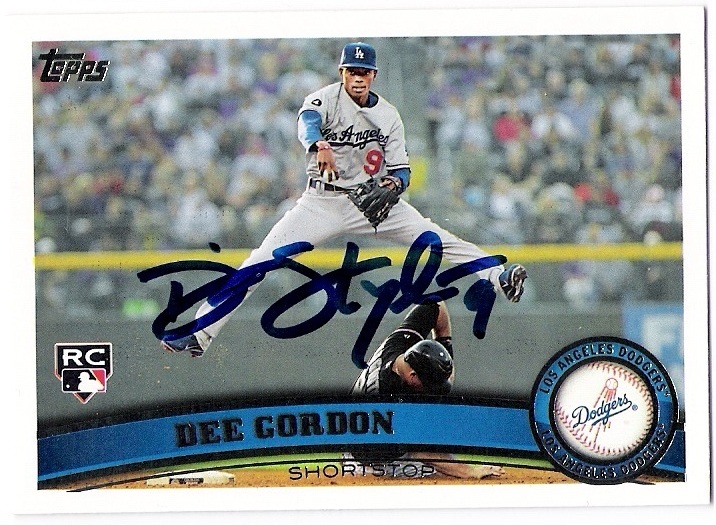 defensively, he was third among shortstops in range factor, assists, and errors as it turns out. good thing that his offense carried through to the postseason, then. in the nlcs, russell hit .412 with 7 hits and 2 rbi, and then he went 11 for 26 with 2 doubles in the world series for a .423 clip. 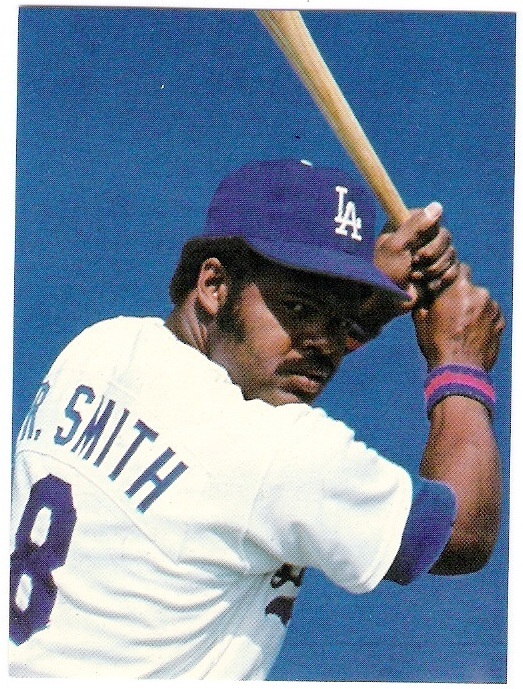 smith very nearly repeated as a 30-home run hitter in 1978, finishing with 29 bombs to lead the team. he also drove in 93 runs and hit .295 to earn his second straight all-star appearance (he was 0 for 3) and 4th place finish in the league mvp voting. smith hit .188 in the nlcs and just .200 in the world series, although he did have a home run and 5 rbi against the yankees. 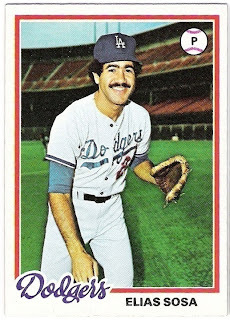 though featured as a dodger in the 1978 set, sosa was pitching in oakland when the season rolled around. his contract had been purchased by the pirates in january of 1978, and they traded him just before the start of the campaign to the a's, along with miguel dilone for manny sanguillen. with the a's, sosa was 8-2 with 14 saves and a 2.64 era in 68 games. he became a free agent after the season and signed with the expos, perhaps hastening the exit of former teammate mike garman in the process. sutton wears the all-star shield proudly! in 1978, don was 15-11, and his era had increased for the third straight year, this time all the way to 3.55. still, his whip was 1.18 and he led the league with a 2.85 strikeout to walk ratio. he completed 12 of his 34 starts, and threw two shutouts on the season. in the postseason, sutton took the loss in each of his 3 starts - one in the nlcs and two in the world series. i wish i could tell who the lurkers were in the background of yeager's card. 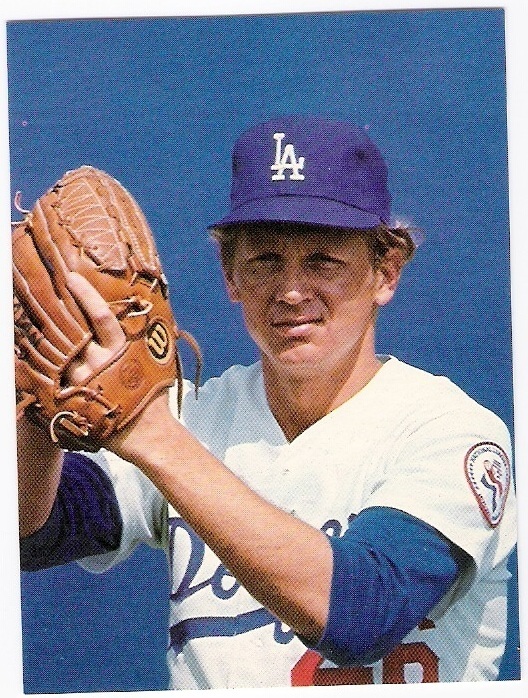 yeager suffered some injuries in 1978 and was limited to only 94 games for the dodgers. he hit a measly .193 with 4 homers, but came up strong behind the plate as usual, leading the league by throwing out 47% of would-be base stealers against him. 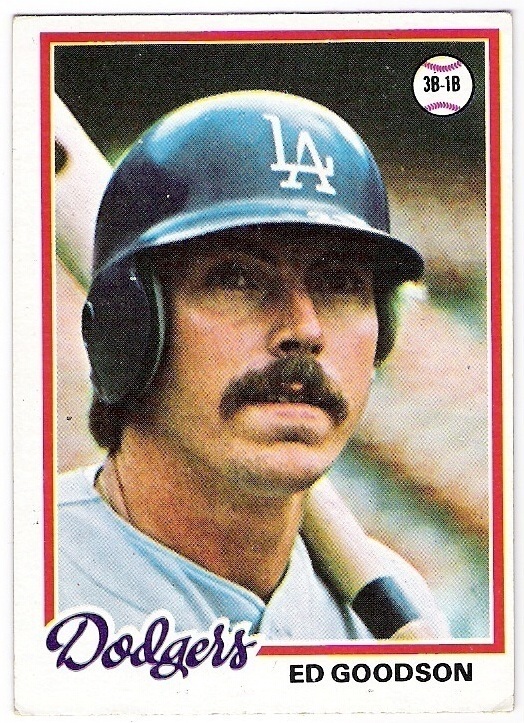 yeager did nearly all the catching in the postseason, and he hit .231 in both the nlcs and the world series. although i am splitting them into two posts. go figure. 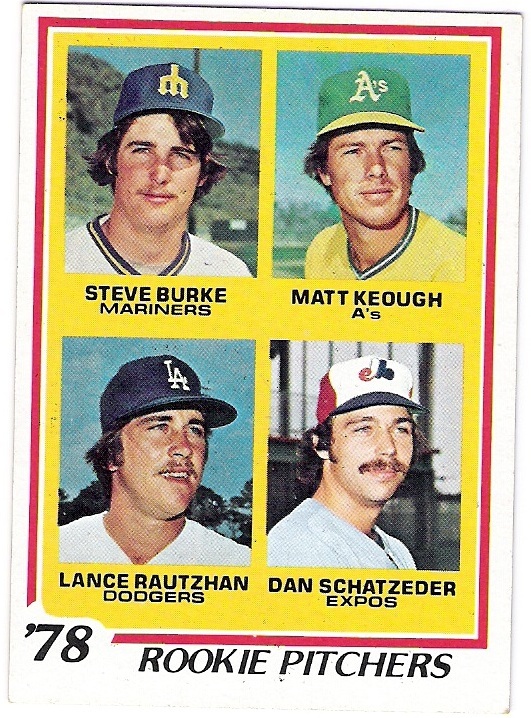 two new players were featured for the first time in 1978 - glenn burke and lance rautzhan. let's start with them. burke debuted for the dodgers in 1976, but didn't show up on a card until 1978. by that time, he had appeared in 108 games for the blue and was hitting about .250. he also had greeted dusty baker at home plate after a home run with what many consider to be the first 'high-five'. not too far into the 1978 season, burke found himself in tommy lasorda's doghouse (quite possibly due to a friendship that burke, a gay man, had formed with tommy's son, also gay (although tommy doesn't admit it)) and was traded to the a's for billy north. 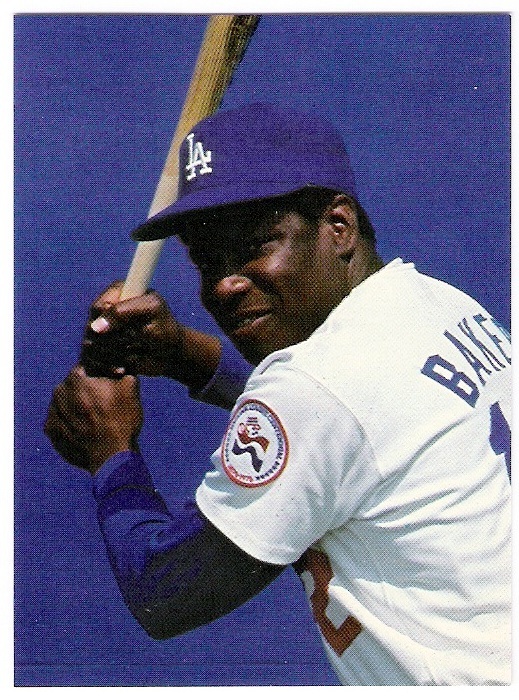 in oakland, burke played in 78 games and had 15 stolen bases. 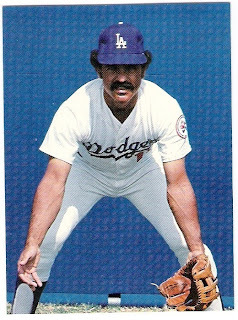 he finished the season hitting .233.
rautzhan had first appeared for the dodgers in the middle of the 1977 season. 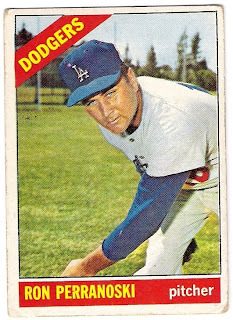 he wound up winning 4 games and saving 2 others before the year was done, and then picked up a win in the nlcs against the phillies. 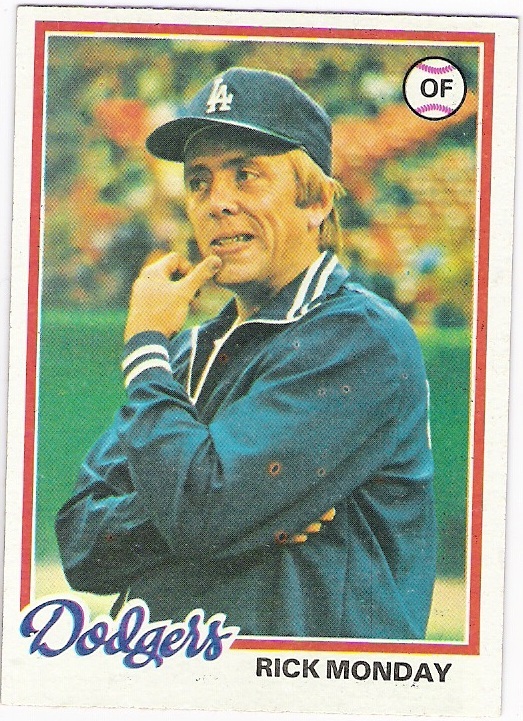 in 1978, rautzhan lowered his era to 2.93 and went 2-1 with 4 saves. he made three appearances in the postseason, including two in the world series against the yankees, but did not figure in any decisions. 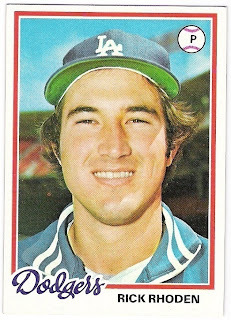 a few other players returned to the topps set after their absences - vic davalillo, jerry grote, and ted martinez. davalillo was plucked from the roster of the aquascaliente team in the mexican league late in the 1977 season. the 40-year old wound up appearing in 24 games for the dodgers, hitting .313 overall and .286 (4 for 14) as a pinch-hitter. his biggest hit of the season, of course, was his bunt against the phillies in the 'black friday' game. down by two runs with two outs and nobody on base in the 9th inning of game 3, davalillo bunted for a hit to start the winning rally. 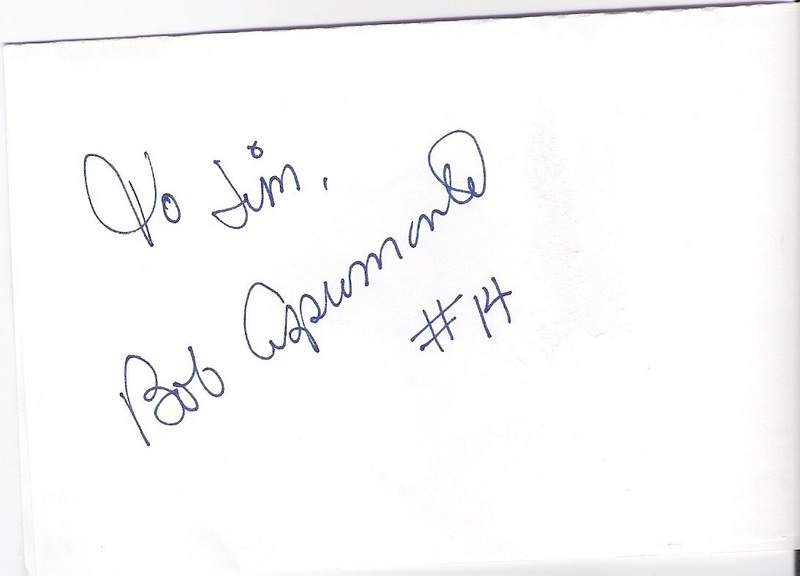 he then went 1 for 3 in the world series, appearing in three of the six games against the yankees. in 1978, davalillo was back for the whole season. 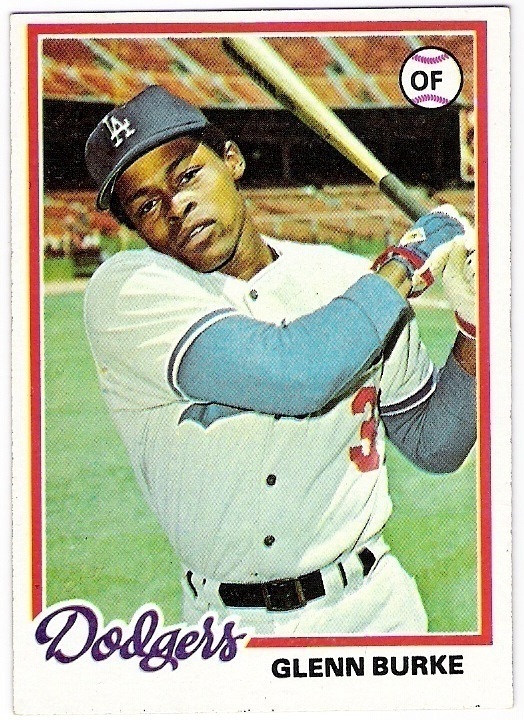 he hit .312 overall and .255 (12 for 47) as a pinch-hitter. 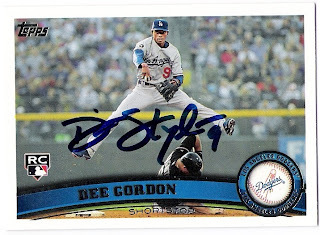 his lone home run of the season, and the final one of his career, came as a pinch-hitter against the mets in august. 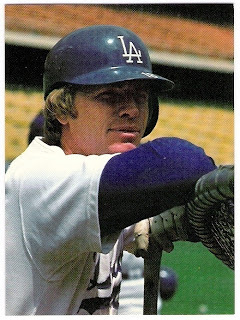 davalillo did not match his postseason highlights from the previous season, as he appeared in only two games of the world series, going 1 for 3.
grote had been acquired by the dodgers from the mets at the end of august in 1977. he hit .259 in 18 games for the blue, and then was 0 for 1 with a walk in the postseason. in 1978, grote hit .271 in 41 games and appeared in three postseason games, including two in the world series, but did not get an at bat. i do recall that grote was on deck when bill russell singled in the run that clinched the pennant for the dodgers in game 4 of the nlcs. grote became a free agent after the season ended, and essentially retired. sort of. 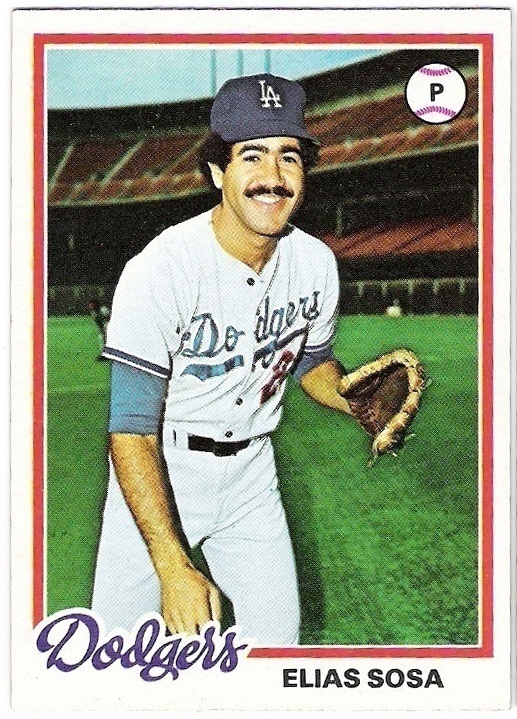 martinez spent the entire 1976 season in the minors, after which he was selected by the dodgers in the rule 5 draft. 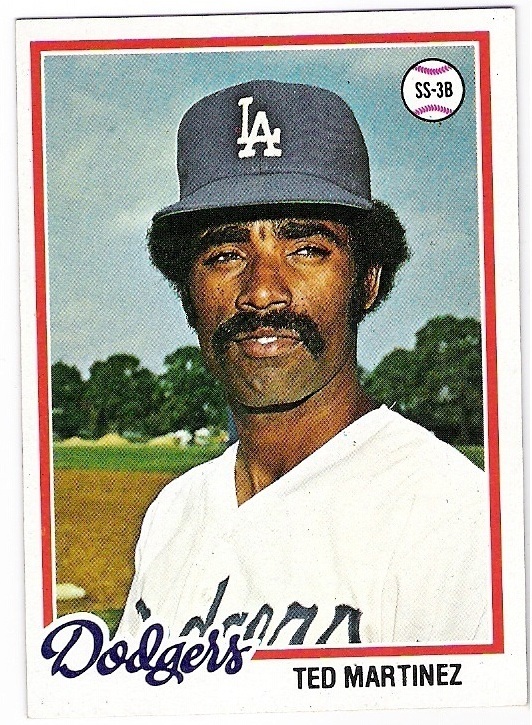 he then appeared in 67 games for the dodgers in 1977, batting .299 along the way. he did not appear in the postseason, however, nor did he do so in 1978. during the '78 regular season, martinez saw action again at third, short, and second, and hit .255. he also hit the final home run of his career, a three-run shot off of mario soto in late september. there were also some other veterans who appeared as dodgers for the first time in 1978 - terry forster, mike garman, rick monday, and johnny oates. 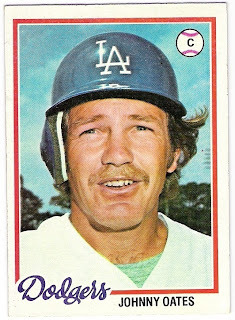 this card of forster, with the horrific airbrushing, means that we were denied a terry forster pirates card by topps. remember, forster was still shown as a member of the white sox in 1977. forster joined the dodgers as a free agent after the 1977 season ended, and went on to have a great season in 1978. he was 5-4 with 22 saves and a 1.93 era in 47 games for the dodgers. he also went 4 for 8 at the plate, raising his lifetime batting average to .424 (24 for 59). he pitched 5 scoreless innings in the postseason, including 4 (with 6 strikeouts) against the yankees in the world series, but he did not get an at bat in either the nlcs or the fall classic. garman was 0-1 in 10 appearances to start the 1978 season for the dodgers, and then was traded to the expos for gerry hannahs and another player. in montreal, garman appeared in 47 games, and was 4-6 with 13 saves and a 4.40 era. 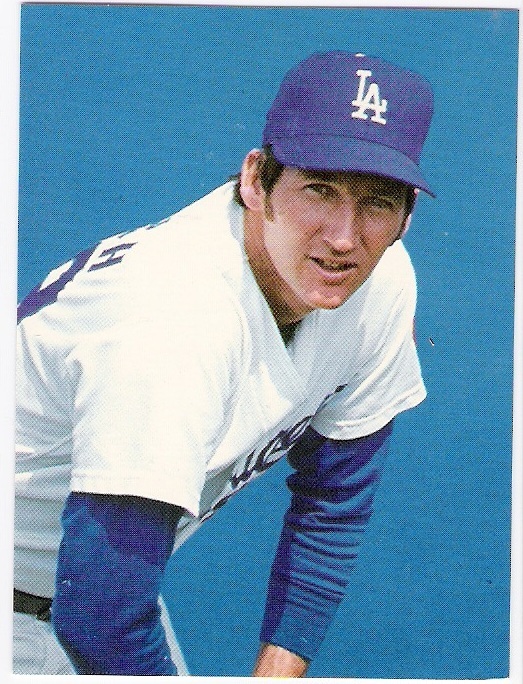 he made the final appearance of his career on september 29th against the phillies, when he blew a save opportunity by allowing an rbi single to dane iorg. 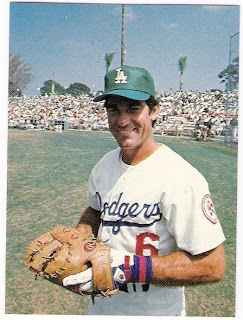 the final batter garman faced in his career was ted simmons, who followed iorg with a walk. the expos released garman towards the end of spring training the following year. 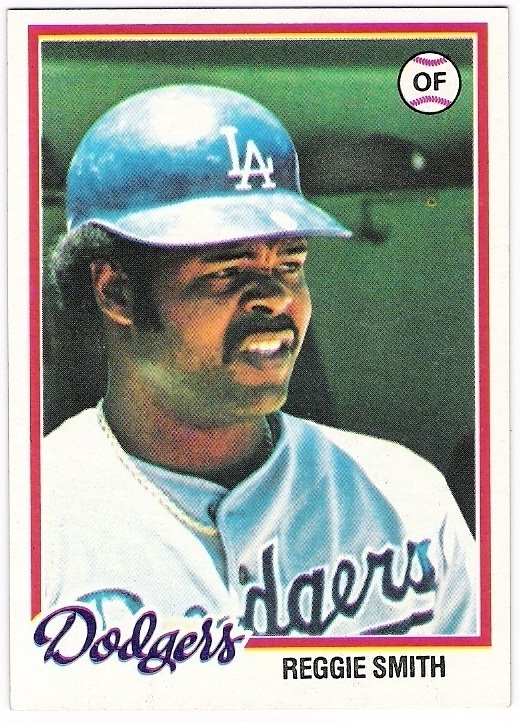 mo got some mustard from a dodger dog on his chin apparently. man, how we laughed at this card when we first saw it after an afternoon 7-11 run back in the old neighborhood. anyway, monday played in 119 games in 1978, one more than he had in 1977 and more than he would in any following season. 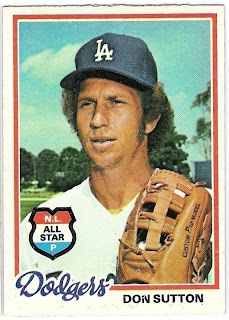 he hit 19 homers (including the 200th of his career off of atlanta's jim bouton) and was voted to start in the all-star game, even though bill north had kind of taken over in center field. in the game, monday started in right field, with greg luzinski in left and george foster in center, and he went 0 for 2. in the postseason, monday had two hits in each series, appearing in all but one game in each the nlcs and the world series. even with three other catchers on the roster, oates managed to get into 40 games (18 of which were starts behind the plate) for the dodgers in 1978. he even threw out 32% of the runners who tried to steal against him. 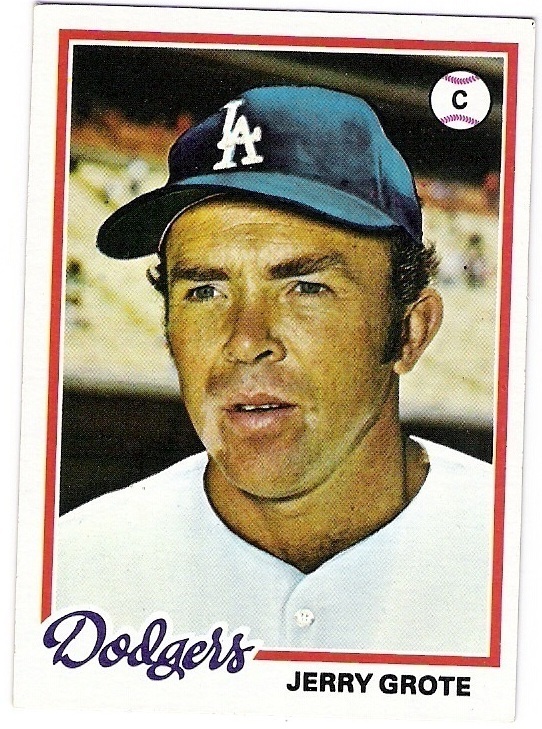 oates hit .307 with 6 rbi in 70 at bats, and then was 1 for 1 with a walk in the world series. 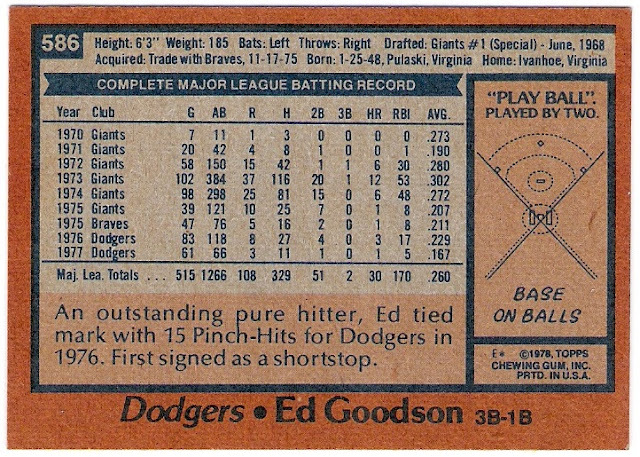 finally, one of the 1978 topps dodgers got a final tribute in 1978, having played his last game in 1977. that would be ed goodson. let's have a look at those career stats. i'll cover the rest of the team in the next post. 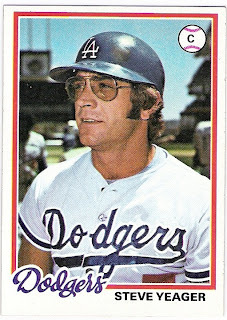 steve yeager through the mail success!